Face the facts: your gala promises to be spectacular! 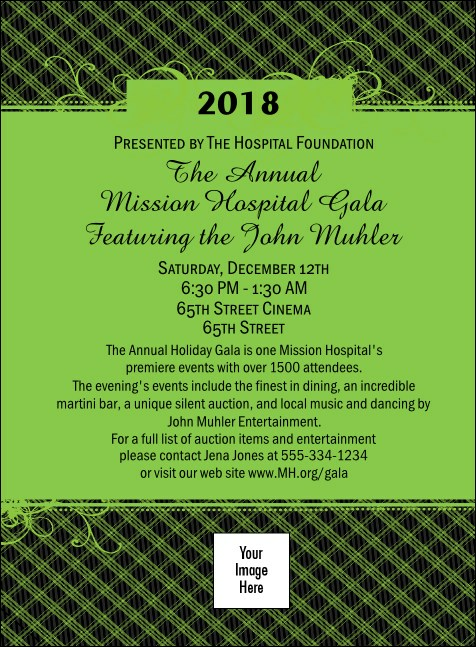 Now, share that message with your mailing list by choosing the this Year Gala Plaid Green Invitation, with a fun fabric-inspired background and space on the template to upload any custom image, logo, or photograph from your own files! Just one more detail you can check off your list!